- Available in 2 Options. Pricing may vary. The Zinsser Jomax Spray Once Exterior Stain Removal is a ready to use solution that is perfect for spot stains on areas such as patio furniture, decks, and siding. It removes mold, mildew, moss, and algae and automatically mixes the formula using a hose end adaptor. 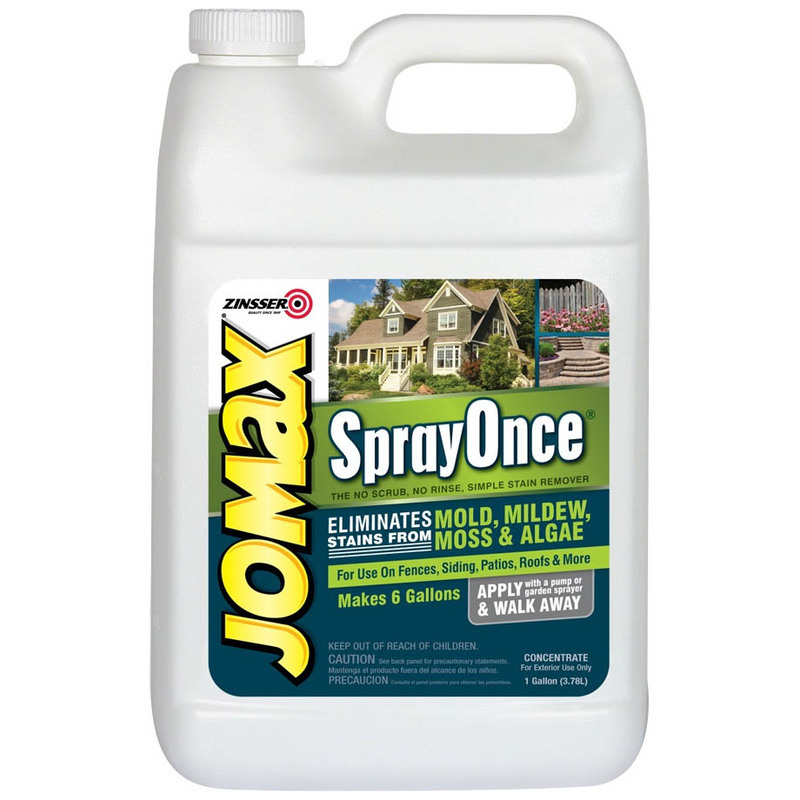 Jomax spray one is concentrated, makes up to 5 gallons of ready to use, no rinse formula, and is safe to use around plants and shrubs. 1 Gallon concentrate cleans up to 1,500 sq. ft.